Most of girls do not want the ordinary scenario, that is the guy getting down on one knee with a red rose in his hand, and just proposing. Though this is an old way of proposing. 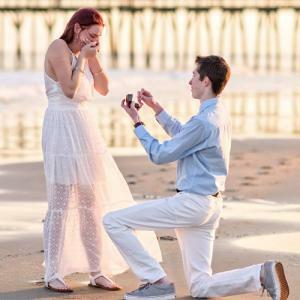 You can make your proposal as the best and the most romantic date with your loved ones. These are some best ways to propose a girl. This is the first rule that you need to get into your mind when you think of proposing a girl. Do not overdo your proposal. Keep it simple yet special and sweet. Be creative, and be yourself. Its every girls dream to have a guy propose to her. Be who you are, and in your own special way say those three golden words. This is a classic but one of great ways to propose your dream girl. Candles are one of the quintessential elements of a romantic evening. The dim lights of the candles burning flames and the romantic tunes sets one of the perfect settings for a romantic proposal. Take her to the place where you met each other for the first time. Recreate the same moment and then propose to her. It will definitely move her and get embossed on her memory for lifetime.